Dalness Estate can offer many estate activities. 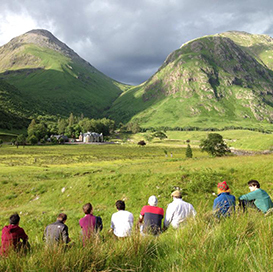 Guests may wish to try their hand at sea-fishing on Loch Etive and salmon fishing on River Etive; or take to the hills from the doorstep of the house on one of the many walks; a gentle game of croquet on the lawn or a bracing swim in the river may appeal. 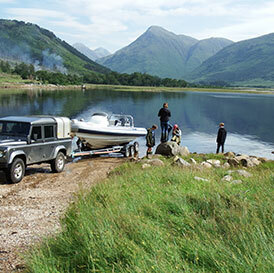 Alternatively, experience an exhilarating trip down Loch Etive on the Estate RIB. 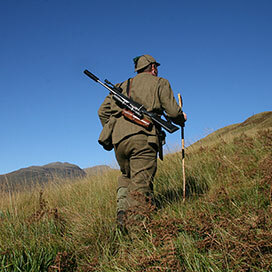 Challenging Red Deer Stalking and clay pigeon shooting can also be arranged. 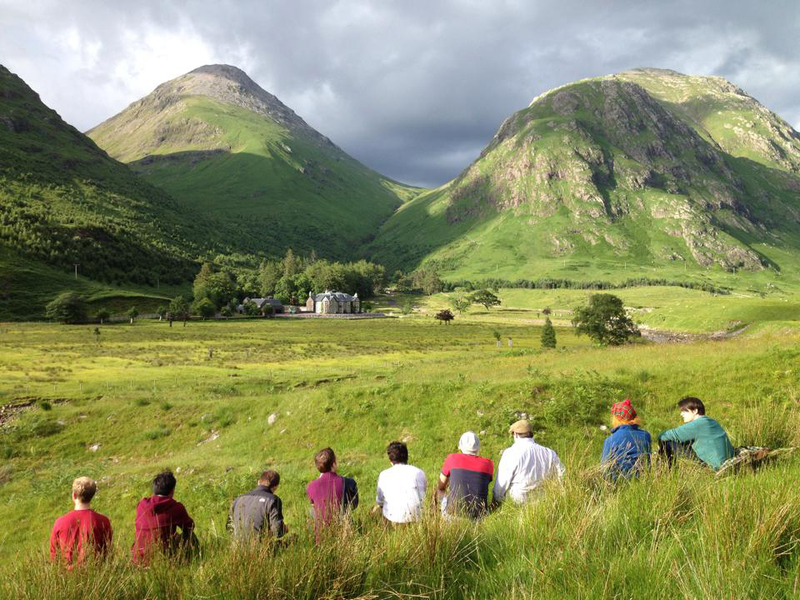 Dalness also has partnerships with many local specialist activity providers; which combined with the estate activities, will allow you to fully experience what the local area has to offer. The estate has a number of boats for use on Loch Etive, a 26 mile long sea Loch, which decants into the open sea at Connel Bridge, by Oban airport. 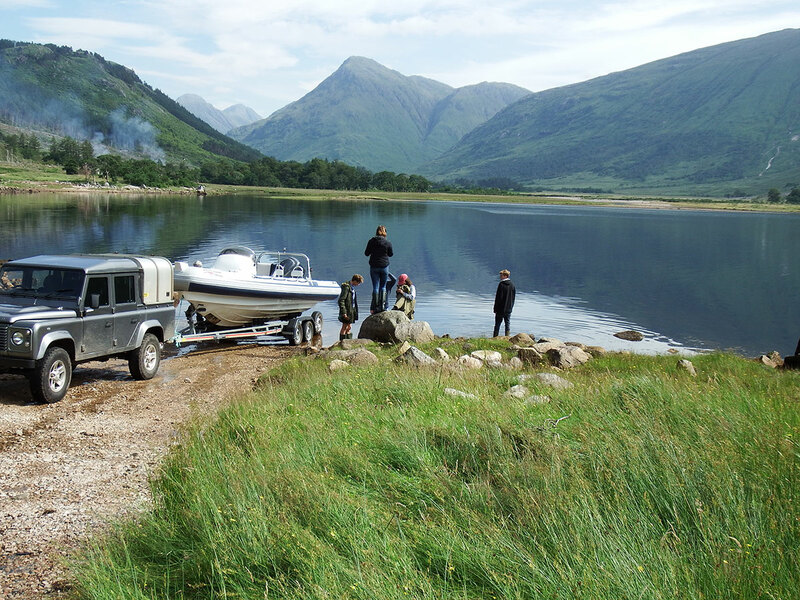 You could try your hand at fishing for trout and mackerel from one of the smaller solid hull motor boats; or the more adventurous might prefer an exhilarating ride down the loch on the 150 horse-power Ribeye 650 motor boat, perhaps stopping for a barbeque or picnic on one of the loch beaches. Regardless of your choice of vessel, the scenery is as uplifting as the location is remote. 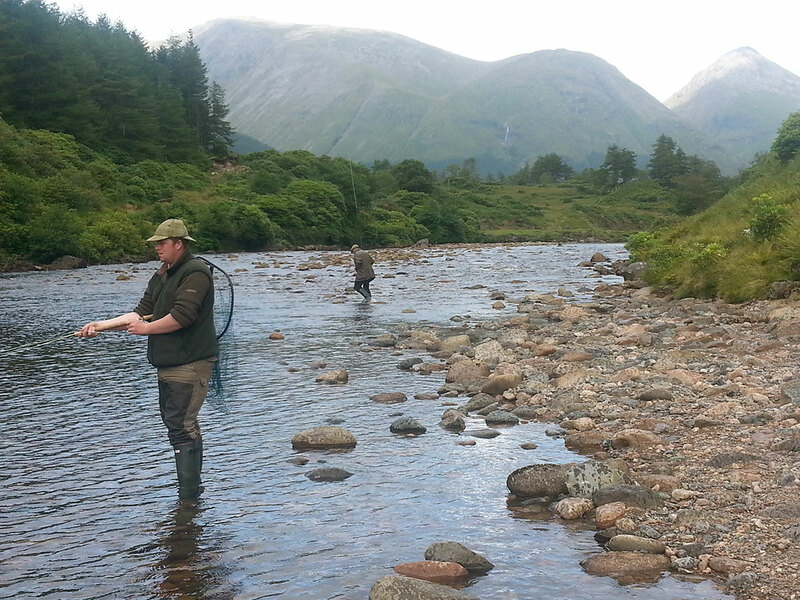 The River Etive runs directly past the door of Dalness House and provides varied salmon fishing on a spate river. There is approximately 2 miles of river bank with fishing in over 15 pools. Maximum of 3 rods. 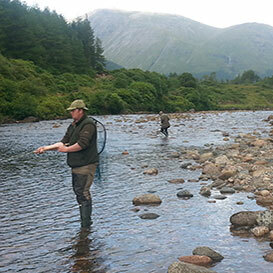 Experienced fishermen : £50 one-off charge to include the services of a ghillie for a half-day, then unlimited fishing (when water levels permit) throughout the week. Beginners : £130/day, £70 half-day, maximum of three rods / participants. Clay pigeon shooting is available both for novices and experienced guns. Taking place near the main house, this is a popular year-round activity. £39 per person, for 25 shots. Additional shots available on request. Stalking at Dalness is carried out amongst the estates many Bens, and whilst the terrain is steep, the views can be breath-taking. 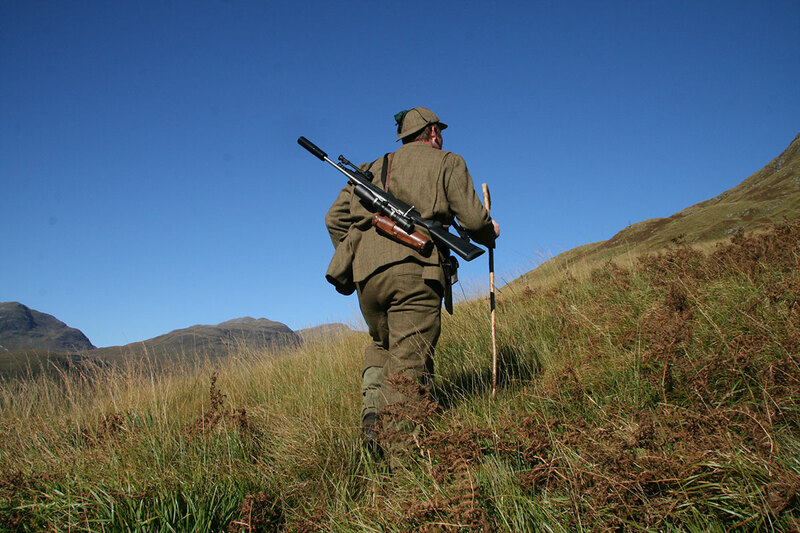 Guests are accompanied by an experienced stalker, and due to the nature of the terrain, a good level of fitness is required to make the most of your stalking experience. There is limited availability for stalking for stags at Dalness, with the best time for stalking being October. Prices available on request (As can occasionally happen there may be a stalking day or two where there is no opportunity to shoot a stag in such cases the normal fee will be waived and a reduced 'outing only' fee will be charged. For those that aren’t familiar with Scottish hillwalking, a Munro is a mountain in Scotland with a height over 3000 feet. Munros are named after Sir Hugh Munro, who produced the first list of such hills, known as Munros Tables, in 1891. Dalness Estate is fortunate enough to contain five Munros, and provides some spectacular hillwalking from the doorstep. Prices, where applicable, for the above activities are available on request and are dependent on your specific requirements. All activities should be pre-booked before your stay. Some activities may require a minimum number of participants. Fully inclusive activity packages are available. Copyright Dalness Estate 2019. All Rights Reserved.